Shroud Scope 8: 372 impossible scourge marks (surely?) 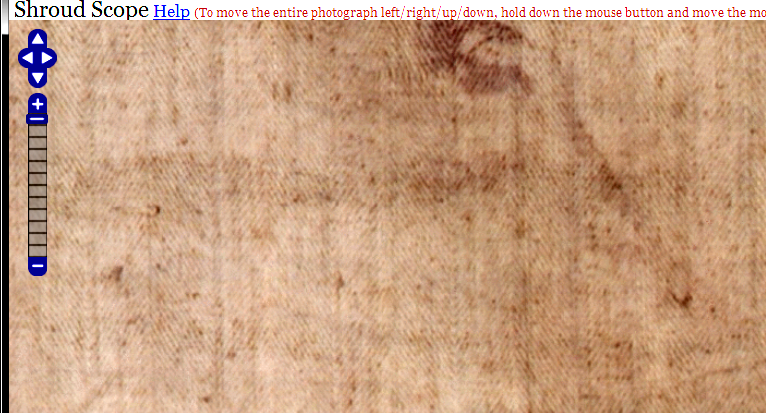 on the Shroud of Turin | Is the Shroud of Turin really some kind of supernatural photographic 'selfie'? 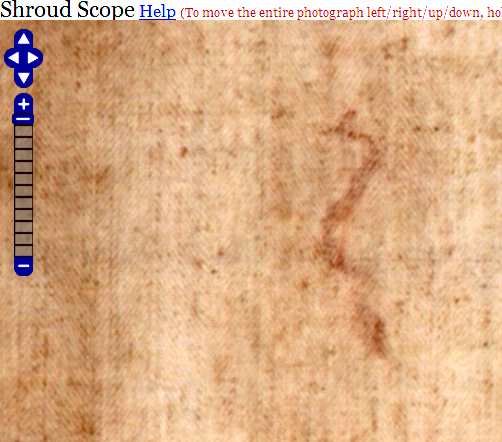 I have been been looking at the “scourge marks” on the Shroud of Turin with my new Shroud Scope toy, and comparing with the map provided by the 2010 paper of Faccini and Fanti. Map of scourge marks from Faccini and Fanti – no less than 372 in total. All are said to be distinguished from other image-bearing regions by having traces of “blood”. 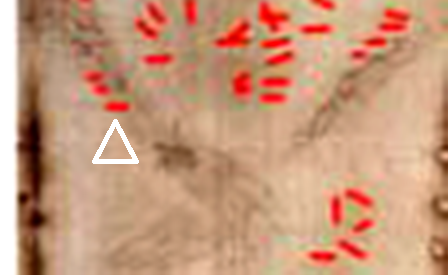 Some curious comments in that paper about “overlapping” images, about which I shall have more to say later, made me decide to look closely at parts of the image where scourge marks are adjacent to major “bloodstains”. (See my previous posting for why I have placed quotation marks around “bloodstains”, and why I prefer for now to use the term “AROW-blood” for those stains, i.e “assumed-rightly-or-wrongly blood”. Why compare scourge marks with bloodstains, or rather AROW-blood? Because the Fanti paper says that those scourge marks represent a major source of blood on the Shroud, but failed to make clear what a scourge mark image represented – just blood – or the outlines of bruised or torn flesh- or maybe a combination of the two. You see, we are told that there are two major categories – one from a Roman flagrum (“Type 1”) and the other a collection of bound rods (“Type 2”). It is the former that interests me most. Anyone with the least familiarity with the Shroud will know that the Man shows what appears to be scores and scores of scourge marks on both frontal and dorsal sides – 372 no less according to Fanti et al, and that some of these are “dumbbell-shaped” corresponding with a Roman flagrum (whip) that has two lead spheres near the tip of each strap. But the authors state that some straps have three spheres per strap, but in their images of the marks left by two and three spheres, there is scarcely any difference between the two. Why? Because the strap between the spheres leave its imprints too. When there are 3 spheres per strap, one sees virtually no evidence of each sphere – just a somewhat blurred rectangular smear of image density that — with the eye of faith- might show 3 spheres. Even with just 2 spheres per strap there is so much imprinting of the strap between the two that one can only just make out the “dumbbell” shape that is supposed to be the signature of a Roman flagrum. There is worse to come: it is only the strap that lies between the spheres that leaves an imprint according to F&F (if I may so describe our two investigators). The strap that connects the spheres with the handle is not imaged. Now how can that be, one wonders? How can a small part of strap between spheres leave an image, and not the strap that connects with the handle? And in any case, what is the nature of the image? We are told elsewhere that the lead spheres tend to bruise rather than cut – so why is it imaged if not breaking skin and shedding blood? What is blood on those “scourge marks” and what is “broken skin” but, most importantly, where is the blood or lesion that would surely have been left by the strap that is adjacent to the sphere that is furthest from the end, closest to the handle. One might also ask why a mark that is little more than a short rectangle, a mere 2cm long, is interpreted as a flagrum with 3, rather than 2 lead spheres? Matters are not helped by the map that F&F use to show the marks that they specifically identify as flagrum -derived (Type 1 in their terminology). They use a symbol that almost exclusively shows 3 rather than 2 lead spheres per strap – so we are given no indication as to the relative proportions of 2 spheres (classic “dumbbells”) and this intruder – the 3-sphere dumbbell that is not a dumbbell. To make matters worse, they show us a reconstruction of the flagrum that produced the marks on the Shroud. Look at it carefully. Two or three lead sphere per strap? Why is the one closest to the handle shown as an incomplete sphere? It fudges on the key issue of the number of lead spheres by showing two complete distal spheres, with the third (nearest the handle) being an incomplete sphere. 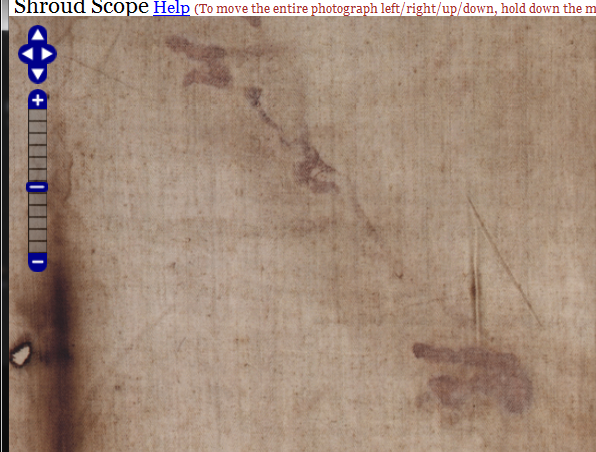 I shall publish this now, but be back later with a Shroud Scope image that suggests that it was not the Man on the Shroud that was lashed (difficult if there was no strap connecting lead spheres with handle) but the Shroud itself. Yup, we have prima facie evidence here that the Shroud image was a hoax/forgery, because the multiple scourge marks simply fail the test of credibility. Sorry to give an incomplete story (that will be rectified in the next few hours) but it’s the way I work – presenting instalments rather than a finished work. It’s the way Charles Dickens wrote his novels (in penny instalments) except mine are free. 20 June: Time now to deliver on that reference to Shroud Scope in the title. First, here’s a portion of the F&F map with which I opened this post. The region of interest is the area of the forearm indicated by the white barrow. It is one that has some faint scourge marks. Let’s look at those in close up, since they reveal a surprising and somewhat alarming feature (which is just about visible here, even without magnification). So areas of image intensity which are identified on the F&F map as being scourge marks – if not the Type 1 flagrum type – but the Type 2 rod type – can be located on the Shroud Scope image, if somewhat indistinct (F&F used a range of image-enhancement techniques). But they are not confined to the forearm as indicated on the map. They extend onto the fabric. Why should they do that, if the scourge mark is a type of wound that while imaging at least partly on account of seepage of blood, does not bleed so profusely as to create blood trails onto the fabric beyond the immediate image. If the latter occured generally, then many more “scourge marks” would have shown the same propensity to leak beyond the site of the lesion. However, if scourge marks – or at any rate, some of the 372 of them on the Man in the Shroud – were not on the figure at the time of imaging, but applied directly to the latter, then it is perhaps not surprising that some were misapplied so as to leave imprints beyond the intended area. The risk of the latter occurring would be greatest, needless to say, with a slender limb than with a more extensive part of the anatomy like the chest, back and shoulders. Reference will be made to two features reported here: that of F&F, namely that the lead spheres of the Roman flagrum appear to be unconnected to the whip handle, and also mine, i.e. that at least one set of lash marks (one marking in particular) has run over onto the neighbouring fabric, suggesting that it was fabric, not subject, that received the scourging, or rather an attempt to simulate the appearance of scourging. Update: 22 June: There is now a follow-up post to this one, entitled: Shroudie Congresses- places where fantasies are peddled. This entry was posted in Shroud of Turin and tagged blood, dumbbell, faccini, Fanti, fudge, image, l, lead spheres, Roman flagrum. lesions, scourge marks, Shroud of Turin. Bookmark the permalink. What is one supposed to make of this one? 2:05 pm to 2:35 pm	“Linen Coloration by Pulsed Radiation, A Review” by Paolo Di Lazzaro and Daniele Murra. Several years ago, it was demonstrated that very short and intense bursts of Vacuum Ultraviolet radiation could generate a truly Shroud-like coloration at the microscopy level. It is time to rewind the tape and put those experimental results in their proper context: the motivations of the work, the search for the optimum (but hard to achieve) working point, the photochemistry clues, the repeatability of the results, the scaling up from coloration to image production, what our results have really shown from a strictly scientific point of view, what are the implications in other areas such as philosophy and metaphysics, what journalists (and some scientists too) have misunderstood. The talk will present a fascinating survey of 10 years of experimental attempts, efforts, intuitions, insights, accomplishments, disappointments, controversies. If you ever wondered why they are called “abstracts”, here you have a possible explanation! Two weeks have passed since sindonologists gathered in Pasco, Wa, USA for their 3/4 day “International Conference”. One might have expected to have seen some outcome appear on an internet search. But I’ve just entered (turin shroud pasco 2017 conference) into a well-known search engine, with various recent time filters (Past 24hrs/Past Week/Past Month) and – with a single exception – see below – nothing has come back. Amazing! Clicking on the video filter would of course have brought up the YouTube clips referred to earlier together with those hot links I supplied. The exception was to Mario Latendresse and his very recent Academia paper re the Mandylion/Image of Edessa etc, which makes brief reference to his Pasco presentation. Judging by the slide captions Mario seems to have been unable to establish any definite link to those images and the Shroud which comes as no surprise to those of us who broadly accept the radiocarbon dating, warts ‘n’ all. Admit it sindonology. You’ve run out of ideas, brainwaves, sensational headlines etc etc. Your ludicrous non-falsifiable suppositions re outbursts of subatomic particles from a deceased body, human, superhuman or otherwise are just infantile. I really thought we could have an adult debate about this; me understanding where you’re coming from and where my ideas lay but what I’ve received lately is just ridicule. In a debate, when personal attacks come you’ve lost the debate. I didn’t ridicule your stance but by your responses (Relics-R-Us, etc) you’ve turned this transfer of ideas into smarmy attacks. Your scholarship is based purely on ridicule. It takes several weeks if not months to correlate all the information of the Pasco conference to then present it on a website. Your childish responses have no place in a serious technical/scientific debate. I do not know where you get your so-called scientific background from and the juvenile website you’re put up in your position on the TS but I think you should take it down and do some real introspection on what scientific debate is all about. We can have meaningful discussions provided the initial proposition makes sense to me, James. But as Hugh pointed out earlier, there’s really no call to go invoking the supernatural. merely because an image loses definition when viewed at close quarters. Were you to do a systematic survey of the vast range of different images, ancient and modern, I’m sure you’d find any number where there’s a minimum viewing distance for maximum definition and clarity. The human eye after all is a highly complex organ, relying on electrical impulses between rods and cones in the retina at the back of the eye and the distant ‘black box’ visual cortex at the rear of the brain – with nothing more than a slim signal-conducting cable connecting the two (read ‘optic nerve’)! Just think of the multitude of ways in which the eye and its bio-hardware can be fooled with optical illusions! Anyway, thank you for your visits and contributions. Feel free to visit again any time, once your irritation with my warped sense of humour has subsided. Oh, I too like that Sherlock Holmes quotation you gave earlier. I just hope that my Model 10 is the point where the impossible, near impossible, vaguely credible etc have been eliminated, and my thermally (specifically IR?) generated MOBILE chromophore* narrative begins to attract attention. – not that my research endeavours depend on instant feedback, far less pats on the back. *Yes, the key feature of Model 10, as stated 2 years ago here and on Dan Porter’s retired site, is a briefly-liquid thermal cocktail capable of migrating via capillary channels within linen threads away from the immediate site of generation. The initial model assumed the chromophore travelled BETWEEN fibres (based on modelling with water-based blue ink). That’s now been modified to capillary transport WITHIN fibres. Thanks again James. (Am not sure why your comment, as with Hugh’s too, came through not only as Anonymous, but as if from a ‘newbie’ as well, requiring my approval, but let’s not worry about that for now)..
I’m not sure if this dialogue is getting us anywhere. Part of the problem is your scatter–gun approach. I think where the Shroud’s concerned it’s important to take one aspect, indeed one tiny detail at a time and examine in as much depth as possible. There’s a lot of claims in sindonology that simply don’t stand up to close scrutiny, but still get bandied around year after year. If you’d care to say what you regard as THE major sticking point, and whether or not it’s influenced by what you saw or heard at Pasco, I’d be only to happy to engage further. But please bear in mind that I’m mainly here for the hands-on modelling, in response to claims that the Shroud body image is non-reproducible. Anything to do with age and alleged authenticity (pollen, limestone etc) I tend leave to others. As to one sticking point it’s hard to do. There were so many people with PhD’s in this and that it was hard to follow at times. There were people from Spain, Italy, France, Australia and a group from China. A lot of it had to do with chemistry and the mathematics. If I had one sticking point it would be image formation and how it could have been done by folks in the MA. The image is not a pigment of any sort nor is there carbonation of the fibers which are microns thick (or thin however you want to look at them) and the discoloration is on the surface of the fibers. The image is barely discernible (again bringing that up) when viewed up close (in fact disappears) and can only be seen from a distance. At the conference they had a replica(?) of the image as it is without contrast enhancement and you simply cannot see it clearly; get close to it like eight inches and the image just becomes a smudge, nothing there. These plus other papers were presented in an all day seminar on Saturday. By the time 9pm rolled around my brain was like tapioca. There was another presentation by Russ Breault titled: CIS Jerusalem which was more on the theological. If you would like, I have an extra copy of the International Conference on The Shroud of Turin I could send to you. It has all the details of what papers were presented and by whom so if you wanted you could research those presenters. Yes, we do indeed stock the item you are seeking, namely the Magic Face of our Lord imprinted on finest linen for hanging on your wall. However, you failed to specify which of the two versions you wanted. Was it the more expensive of the two ($1500)? That’s the one where from a distance it looks like blank cloth, where the face only appears when you get closer, and disappears again when you step back. Or was it the cheaper version ($250) where the face is only visible at a distance, and disappears as you get closer? Yes, a check is fine. Kindly make it payable to Relics-U-Like. I don’t have a wall long enough to accommodate the Shroud relic you’re offering so I’ll have to pass on it. I was hoping for a more meaningful discussion but alas I find such will not be the case here. Even now James I am struggling to comprehend the subtlety of image formation on BOTH sides of linen when the chromophore – maybe even proto-chromophore – is (a) initiated by highly-localised infrared heating of the side of the linen exposed to the radiant heat (b) is highly mobile – if liquid and able to migrate along threads AND individual fibres (c) undergo polymerisation reactions – I use the term loosely – en route, maybe taking a little time for full colour development. Just think: one could have proto-chromophores formed initially, barely coloured if early products of Maillard reactions. They they migrate to the opposite side of the linen on the superficially -situated fibres of threads but using the interior of those fibres as protected ‘passageways’. Along the way. further complex chemical reactions lead to the final yellow melanoidins that deposit colour evenly (half tone effect) inside fibres, visible (just) from the outside, better with the naked eye as it happens than through a microscope (through close-packing effects). Some colour, maybe not much, gets deposited on the opposite side of the linen, accounting for the scarcely visible “second face”. Then what? Answer: what’s to stop the liquid returning to the irradiated face, blurring the edges of the image, making it more “diffuse” especially viewed at close quarters (with ref to your earlier point, also addressed by Hugh) given that threads in a weave criss-cross from one side of the linen to the other. We now have an explanation for why the colour is concentrated on the “crown threads”” of the ‘main’ image side, but is not exclusive to those crowns – see the Mark Evans photomicrographs where the colour can be seen going into interstices – and who’s to say it’s not coming OUT of interstices too, having made a complete circuit so to speak! You may feel that the image properties are far too unusual and subtle to be the end-result of human technology. But you cannot expect a scientist – this scientist – to uncritically accept your bewilderment as grounds for giving up on the science and passively accepting yours and others ‘miraculist” interpretations. Human development and material progress would scarcely have proceeded beyond witch doctors and their magic spells and incantations if that kind of thinking had prevailed centuries or millennia ago. Scientists question – and then EXPERIMENT! It’s what we do. It’s not purposely disrespectful to the spiritual word – it’s just not willing to let that world have the final say on every subject under the sun, given what we now know about the complexities of atoms, ions and molecules. Late addition: I’m thinking I should drop my description of Model 10 as the “flour imprinting” model. It’s insufficiently informative, and may indeed act as an instant turn off for those seeking a more with-it ‘sciency’ name. Maybe the “IR-triggered/mobile chromophore” model, or something shorter and catchier. Suggestions welcome (preferably polite). There’s a barely recognizable image of a crucified man on it. You need to contrast enhance it to see detail. The only way the image can be seen is from a distance; up close it just disappears. In paintings the detail increases the closer you get. If the image is supposed to have been produced by some MA artist which then begs the question as to why the nail imprints are in the wrist and not the hand where in all MA paintings/icons from that time forward show the nail prints in the palm of the hand. There are traces of limestone silica on the bottom of the feet and elbow that only can come from the steps on where this man tread on his way to crucifixion. No where else in the world is this type of silica found. Did the person who created the TS in the MA sprinkle some of it there to help authenticate the TS? Was the pollen which is only found in that part of Jerusalem purposely placed there as well? How does one account for the incredible body detail that was medically unknown at that time? There are so many websites out there on both ends of the argument each one showing how the image could have been created so it basically comes down to what you’re convinced of. As for me, the jury is still out. I’ve only just cottoned onto the exchange above, and would like to drop in a few comments, if I may. Firstly – are the papers presented in Pasco available online yet? I can’t find them, but Colin seems to refer to one by ‘Charles A Rogers’, so maybe they are? They’ll no doubt turn up on Shroud.com eventually. Secondly – from what I can gather of its website, the entire organisation of the the Pasco conference was predicated on two premises – one might almost call them axioms – that the Shroud is the authentic grave-cloth of Christ, and that the image was formed by a miraculous process. There was little or no consideration given to the possibility that either of these might be incorrect, and piles of evidence listed in favour of them without any reference to the fact that almost all of it has been, and still is, disputed or rejected by other researchers. Thirdly – to specific points raised by James Bond here. a) I don’t think it is true to say that “The 14C carbon dating group went into the investigation already determining in their minds that the TS is a fake”. There is little evidence at all for that, and quite a lot to suggest the reverse. One or two of the Oxford team were avowed atheists, but that’s not the same as wanting the Shroud to be a fake. And this: “tossing data that didn’t agree with their preconception of the age” is wholly untrue and without any evidence at all. And later this: “The Arizona data was thrown out because their data was too far outside what they considered the norm to be and just use the other two labs’ data.” This is utterly untrue. Wherever did you get that idea from? I don’t believe that even the most ardent authenticist could have said that – you must have misunderstood. b) This ‘bottom line’ “the image is not a painting or any other medium used to produce a very faint image” is precisely one of those axioms which is hotly disputed. This: “that has to be viewed from a distance to even see any discernible image and the closer you get the image just disappears” is no truer for the shroud than for any other image. Shroud 2.0 is an iPad app which allows you to investigate the Shroud in huge detail, and distinct features are discernible from a few inches away. “whereas in a painting or photograph the image becomes more distinct the closer you get.” Not at all. It depends very much on the size and style of the painting or the resolution of the photograph. It is very wrong to compare the Shroud’s style to a conventional portrait. Try looking at, say, one of Monet’s waterlily paintings in close up and see if you can guess what it is! “The only reason you can see anything now is that the image is produced with a higher contrast” This is true of most photographs, especially the Enrie ones of 1938. However I have seen the Shroud ‘live’ at the last ostentation, and the image was perfectly visible. c) “All the attempts at copying and trying to reproduce a similar image has failed because paint or some other medium is used not a radiation burn such as is on the cloth.” This is another highly disputable ‘axiom’. It stems from the disagreement between Walter McCrone, who claimed to see iron oxide particles on the cloth whose density corresponded to the intensity of the image, and John Heller & Alan Adler, who found almost no iron oxide, and did not attribute what they did find to paint. It is insufficiently realised, especially by those who do not want to realise it, that McCrone was examining whole areas of tape, covered with all the debris lifted from the Shroud, including all the pigment particles, whereas Heller and Adler were examining individual fibres extracted from the sticky tape, which had to be washed thoroughly to remove the gum, thereby removing all the paint particles they were subsequently unable to find. 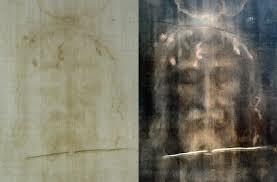 It is also not sufficiently realised that the X-Ray Fluorescence study of the Shroud carried out in Turin by STuRP’s Morris, Schwalbe and London clearly showed a direct correlation between image intensity and iron concentration. d) Next, I’m afraid, is a recitation of another set of axioms, usually touted by authenticists as indisputable facts, but none of which is any such thing. i) The Shroud has some characteristics of a photographic ‘negative’, rather like a wood-engraving, or a bas-relief rubbing. It is not a true photographic negative unless we assume that Jesus had very blond hair and beard, and that his nose was much lighter in colour than his cheeks. ii) All images contain 3D-information of one kind or another. When the Shroud is subjected to a computer program which converts intensity to height (such as imageJ or the infamous VP-8) it looks like a bas relief emerging from a flat base. It does not look like a fully three-dimensional body. It only works at all if one makes several assumptions, disputed even among authenticists: the shroud must have been horizontal, the ‘radiation’ must have been vertical and rapidly attenuated in air, and all the different materials of the body (hair, skin, lips, etc.) radiated in exactly the same way. iii) Anybody who rubs an old fibre-tipped pen over a fairly dense cloth will find he makes an image with all the characteristics specified – minimum penetration, no capillarity, only the uppermost surfaces of the threads discoloured, etc. iiii) It does seem to be true that at least one component of the image, and probably an important one, is a discolouration of the flax fibres themselves, such as caused by a scorch. There is some research being carried out, not least by Colin and myself, as to how these ‘scorches’ can be formed. The two broad avenues are by heat (or radiation), and chemically, such as by acid. Various possibilities were available to medieval artists. However, all attempts to derive such discolouration ‘naturally’ from a dead body seem to have been abandoned in favour of supernatural approach, although a few authenticists still hope that some kind of vaporograph effect, or geological piezo-electric effect, are also possible explanations. v) “The conclusion is that an artist or forger could not have produced the bizarre characteristics of the images in any era, either ancient or modern.” That is only the conclusion of those who do not even acknowledge that any research into non-supernatural explanations is still being carried out. vi) On the Shroud the bloodstains from the nail-holes are only visible on the back of one hand. Of course they do not show holes in the palms. They are exit wounds. They are, however, consistent with the conventional idea of where the nails went in, although there are several medieval images which are exceptions to the rule. “Where all religious paintings bar none have the nail holes in the hands.” Not quite, there are exceptions. e) Your last comment: “It surely begs the question as to why. No artist has come forth claiming that he/she did it all during the MA era – you would think that one would. There’s no signature on the linen as to who the artist is whereas all painting from that time forward always has the artist’s name or logo or something.” I don’t know where you get that idea from, but it couldn’t be further from the truth. Throughout the Middle Ages individual artists were very rarely recognised, especially ecclesiastical ones. The decoration of a church or palace was largely up to unsung, unrecognised, and now completely unknown ‘craftsmen’ who did a range of things from sculpture to embroidery. Some of the most impressive are now known as by “the Master of…” a place or painting, without any idea of his name. The Shroud was not made for permanent public display, but as part of something else, a ritual, a pilgrimage, a play, or similar, and as such its artist would not have been considered a particularly distinguishable individual. And if, of course, it was made deliberately to be mistaken for the original thing, then of course it wouldn’t be signed! Thank you for your enlightening reply. I take in all considerations and have bookmarked your site as well as others. I find it very interesting in the pro/con debate and I fear that the issue will never be resolved. Even if 95% of the TS was proven false there is that 5% (which is huge) which casts doubts on everything. I appreciate your taking your time to answer my questions. Enter (youtube shroud of turin conference 2017) into your search engine and you should get up on screen a list of those Pasco presentations that were recorded on video. 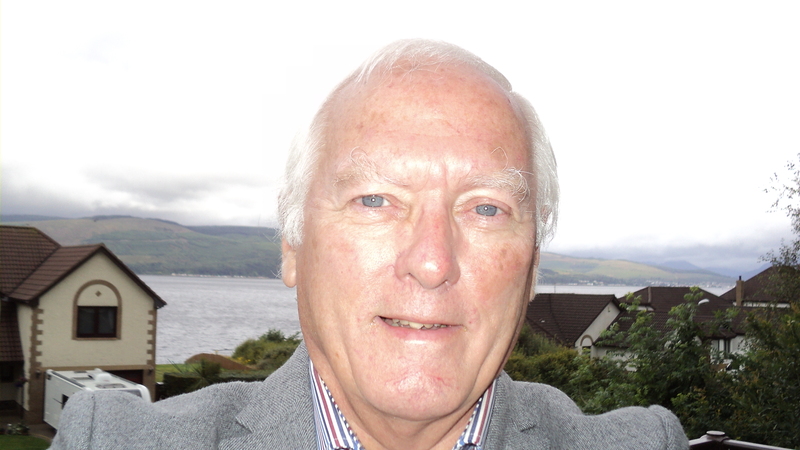 See my latest posting re radiant infrared energy for links to individual presentations, only some of which I’ve viewed so far, having other matters to attend to. Here’s the website of the Pasco Shroud seminar and there are things posted from it there. Forgive my saying, but that’s’ a link to the (as yet) pre-conference Pasco prospectus James. I don’t see any updates displaying any of the actual proceedings between Wed July 19 (Day 1) and Sat July 22. (final Day 4), including your flagged-up “seminar”. Maybe I’ve missed the addition by Bob Rucker of a new tab? If you’ll scroll down the page you’ll see a link to “Recent Research” and a coupe of others. I think that Bob Rucker will be updating the discussion items as soon as he can. Yes, all that was brought up at the seminar and even your website was mentioned which is why I’m here to find out your thoughts on all this. I find your responses interesting and informative and take them under advisement when searching out what’s really true or not. Well, I’m heartened to learn that sindonology is not ignoring this lone wolf researcher completely! (Oh, and the only reason I operate as a lone wolf is because there’s no comparable ‘sceptics’ club’ or even website that responds as I do the the claim that the Shroud image is non-reproducible by modern technology). But again, we have this piece of linen with the faint negative image that has 3D information in it (no other man made painting or medium can do that) and that the closer you get to it the more it disappears rather than getting more detail to view. There’s just too much there to just toss it off as some sort of Middle Age fake. You’ve chosen a posting of mine from some 5 years ago for your visit here James without saying why. It makes a point which could, if checked out , deliver a knock-out blow for authenticity – namely that the 372 scourge marks on the shroud which we’re told are faint imprints of blood – not part of the body image – are accompanied by unexplained uncommented upon physical scratching of the linen threads too. That suggests the scourge marks were not delivered to a body, whether 1st or 14th century, and then imprinted, but delivered straight to the linen! The latter if true provides virtual proof of forgery/simulation, call it what you want, while at the same time neatly explaining why the scourge marks are (curiously) NOT part of the body image. However, the main reason for posting this reply is to ask whether you are familiar with my current Model 10 (flour imprinting/thermal development) and the manner in which it developed from Model 2 (one-step scorching from hot metal template)? Forgive me saying but I get the impression you are not. Were that to be the case, then you need to know that I have addressed issues like negative image and 3D-rendering almost from the word go, and was able to reproduce and account for them even with Model 2. Negative image and 3D are really no big deal. If you wish I’ll supply photographs from old experiments that make the point better than a few words here can. Model 10 arose after searching for a means of sensitizing otherwise resistant linen to heat. Various agents were tested, but the one that performed best was white flour, initially rubbed into the surface of linen before ‘branding’ with a hot metal template to get a negative 3D-enhancible image (which could be as faint as one liked if one used repeated pressing while the template cooled). It was a red letter day for this investigator when he realized first that a COLD UNHEATED oil-smeared metal template could be dusted with flour, and used to make a flour imprint on linen, then heating the linen instead of the metal to get the two-stage image.There was another red letter day when realizing that the process could work just as well by dusting skin as well as cold metal, resulting quickly in imprints of my hand that were also negative and 3D-enhancible! Microscopy followed in short order, starting 2 years ago, albeit instantly mocked by one of sindonology’s high-profile promoters of authenticity, and I am now no longer as bemused as you are with fibres that are essentially either coloured or non-coloured with few in-betweens (the half-tone effect) or with discontinuities, striation etc ertc. In other words Model 10 reproduces most, indeed probably all the allegedly ‘bizarre’, enigmatic characteristics of the Shroud body image. Model 10 invokes a thermally-generated chromophore that is briefly LIQUID and thus able to migrate within threads, indeed within fibres too, accounting for many perhaps all of those otherwise weird microscopic properties. It remains to be seen how long my message will take to percolate through the hard impenetrable rock surface that is sindonology. Things do not augur well if the last two years are anything to go by, without a single reference to flour imprinting appearing on any other site bar Dan Porter’s retired one – not even on the otherwise impressive Hugh Farey’s supposedly ‘sceptical’ BSTS Newsletter. It surely begs the question as to why. No artist has come forth claiming that he/she did it all during the MA era – you would think that one would. There’s no signature on the linen as to who the artist is whereas all painting from that time forward always has the artist’s name or logo or something. “Painting” is a needless diversion from the essentials, unless used as an inferior and easily debunked means of faking the Shroud. Artists’ inorganic pigments would have been easily recognized as such when newly applied. (Even that mid-1350s Troyes bishop described the newly “discovered” Shroud as “cunningly” painted). But the clincher that shows the image is not artists’ paint pigments, not even age-degraded ones, is Adler and Heller’s finding that the body image could be bleached quickly using diimide, which is virtually 100% proof that the chromophore is organic, i.e. carbon-based, relying on conjugated double bonds for colour (-C-C=C-C=C- etc, maybe with nitrogen in the sequence too, e.g. -C-C=N-C=C- ) I don’t have access to diimide, but simple domestic bleach quickly decolorises all my images, whether direct scorches (Model 2) or developed flour imprints (Model 10). I’ll take a bet with anyone that diimide will work too! Diimide (N2H2) is highly specific in the way it acts, hydrogenating those conjugated double bonds, destroying the specific light-capturing wavelength-specific properties of the chromophore. There are no grounds whatsoever for thinking diimde could bleach solid inorganic pigments like red ochre etc, the sort invoked by Walter McCrone. He may well have seen microparticuate matter (which can be accounted for in Model 10 as flecks of wheat gluten or other constituents of the flour-imprinting medium) but he failed in my opinion to make a convincing case for his “just a painting” interpretation, and neither has Charles Freeman for that matter. As I say, the “just a painting” school of so-called thought is a needless distraction. The Shroud image is an IMPRINT, not a painting, which explains among other things the negative image and 3D-enhancibility. I think you must have got the wrong end of the stick James No way was the Arizona data discarded. See the Nature paper. As regards the rest of your comment, it’s basically a recitation of what’s recycled year in and year out. Nothing one contributes by way of correctives ever gets taken on board, or even acknowledged. Sindonology proceeds as if on tracks, allowing nothing to stand in its path. When I first suggested hot metal scorching as a possible imprinting mechanism, I was immediately jumped upon by STERA’s President no less and told to read the literature since i was clearly ignorant of the fact that “all scorches fluoresce under uv”. But they don’t as I showed later. What was being touted as an inviolable principle was based on nothing more that an observation that the scorched edges of the full thickness 1532 burn holes showed a weak pink or red fluorescence, with no testing of experimental scorches to back up the “all scorches fluoresce under uv ” mantra. Has STERA and its President’s website ever acknowledged its mistake, or issued a corrective, never mind an apology. Nope. Absolute silence. This site with 400 or more postings reporting a 5 year evolution of ideas through 10 scientifically-tested models and much new data that you won’t find elsewhere has never once received a singe mention on Barry M.Schwortz’s shroud.com. despite it claiming to provide updates on research and the internet. Why not? Because sindonology has no time for real science. All it does is recycle the same old pseudoscience, year in, year out. Sindonology is an insult to genuine science (though I hesitate to mention it, I am btw a published PhD scientist). One has to wonder how anyone, miraculists included, could arrive at a model that required an enormous stockpile of nuclear bombs exploding briefly, able ‘miraculously’ some might think to scorch linen without burning off every strand of hair and beard, leaving an image of a bald clean-shaven man! You give a clue. That bizarre scenario is generated by mathematics. How did that arise? Well, until seeing the entire argument (I confess to being in no hurry t0 do so) I think what we see is a textbook example of someone who fails to appreciate the difference between heat and temperature, who being unable to conjure up a source of heat able to produce a classic scorch – the kind you or I could produce with a hot iron, oven etc – has to resort to to a scenario where the absence of appreciable mass is compensated by dreaming up astronomical temperatures operating ever so briefly! Why is it so important to consider heat as well as temperature (heat being determined not only by temperature – an intensive property – but by extensive properties too, notably mass of the particles, their specific heat capacities etc)? There’s a simple experiment anyone can do that brings home the problem facing anyone looking to any kind of direct scorch mechanism that thermally discolours (“scorches”) the surface of untreated linen, no matter how superficially. Get some metal that can be heated strongly, then gripped in pliars or similar. One can use an aluminium pencil sharpener as I used to 5 years ago. Place it on a ceramic hob and leave it there till it reaches maximal temperature, then pick it up with the pliars and stamp onto linen. You’ll get an immediate dense scorch, maybe smoke and smell too. Now for the interesting bit. Lift and apply the metal to another patch of linen. Note the substantial drop in image intensity. Keep doing the same and you may well find you don’t get more than 5 or 6 imprints, of rapidly decreasing intensity, before there’s finally no visible scorch at all. Why? Because scorching is highly endothermic. Chemically dehydrating the carbohydrates of linen, i.e. driving off the elements of water (2H per O) as steam, requires lots of energy. So each pressing drains a big chunk of thermal energy from the metal making it progressively less able to produce a new scorch. For the scorch model to work reliably one would have to have some kind of thermostat-regulated system, i.e. operating at and holding one’s carefully selected intermediate temperature, replacing drained-off energy as soon as it was lost, without which one would be struggling to get a manageable system for producing an image that was of even intensity all over, and not too faint, not too strong. That incidentally is why I gave up on Model 2 (scorching off hot metal template). The combination of high temperature initially AND maintaining that temperature was simply asking too much of medieval artisans. I’d suggest that it is likewise asking too much of supernatural forces too if the dissipating heat problem is solved by invoking close on a hundred atomic bombs offset by a vanishingly small application time to make the superficial scorch possible. That’s true, even if spell-binding conference mathematics delivered to a receptive self-selected audience from a home computer by PowerPoint (like the one in Pasco last week) maintains it’s not only feasible but worthy of serious consideration! Had I been in that gathering, I’d have been eyeing the location of all the exits, looking for the nearest one from which I could slip away as unobtrusively as possible. I’ll be back later James to address your earlier points. You raise some interesting points there James which I shall try to respond to in the next day or two – maybe in instalments. “Electrons move freely between positive and negative ions in water solution”. (b) hydration shells of water that mean the electrons of ions in water solution never get close enough to exchange, not that they would have any inclination to do so. I used to teach this stuff to 15 year olds – it being part of the UK National Curriculum Chemistry for GCSE etc. Thank you for your reply. Apparently the image was created with a flash of radiation of some sort (in the seminar it was proposed the flash had an intensity of 94 Hiroshima atom bombs with a duration of several picoseconds, the math was intriguing to say the least). The puzzling thing is the way the image is on the linen; it’s not a scorch of some sort but yet a discoloration of the fiber. Where there is more close discoloration of fibers that gives the apparent appearance of being denser which it’s not; all discoloration is on the top one or two microns of the fiber. The question would then be: what caused that discoloration? It’s not carbon as in a burn nor is it a pigment of any sort. I look forward to this discussion with you. My own interest in the Shroud is less to do with authenticity – though it’s obviously something that can’t be ignored entirely – and more to do with the claim that the body image – and to lesser extent the bloodstains – are things that could never have been produced by a medieval forger. I say they are easily reproduced – in the comfort of one’s own home in fact. What was needed was an appreciation that medieval forgers were not attempting to reproduce a burial shroud, but Joseph of Arimathea’s fine linen delivered to the cross, intended primarily for discreet transport from cross to tomb, later to be replaced by more specialized burial garments. The task was to simulate the impression that a sweat-laden body plus blood might leave on linen, and look like centuries later. The inspiration for the body imprint may well have been the legendary Veil of Veronica that was attracting large numbers of pilgrims to Avignon – the mid 14th century site of the Papacy. My flour-imprinting method produces an actual image – i.e. negative, reasonable 3D response in the appropriate software, the matching microscopic properties (halftone effect, striations, discontinuities etc) bleachability, fuzziness, water-resistance, longevity etc etc. All of those can be accounted for in my model which explains the body image as a thermally-developed contact-imprint, one in which Maillard browning reactions between the reducing sugars and proteins etc of flour result finally in high molecular-weight melanoidins. Can the same be said of all the weird and wonderful mechanisms based on sudden flashes of neutrons, protons, uv radiation, pulsed laser beams etc etc? All I’ve seen so far are patches of yellow or brown discoloration, e.g. those that Paolo Di Lazzaro reported back in 2011. The way to dismiss medieval forgery is to adopt the mindset of the medieval forger and try to produce a Shroud-like body image using only the technology available in the 14th century (which I believe I have done). If one fails repeatedly then fine, then by all means set aside the radiocarbon dating, then propose miraculous intervention that generates a truly unique image with properties inexplicable with the modern-day science and technology (though how you hope to reproduce them in the home or laboratory to convince sceptics is another matter). Pasco? Which presentation impressed you the most? None that I’ve seen thus far has impressed me in the slightest. But then I’m biased, towards the strictly-applied scientific method that involves putting all preconceptions to one side when planning and performing experiments. I repeat: the Shroud body image can be simulated, provided one makes it one’s task to simulate an ancient sweat imprint (which is a design consideration, NOT a preconception). Thank you for your gracious reply. The thing I brought away from the three day Pasco, WA conference is: the TS seems more legitimate than a MA forgery in that a forgery means there is an original somewhere that this TS has been forged from. Other things included (there were nineteen listed) was image formation. The image was basically scorched on the linen not unlike an iron scorching material. Another thing is that the image is only one or two microns thick, laying on top of the fibers and not into the thread. Then of course the negative image; in MA times that concept wasn’t known then. The 14C carbon dating group went into the investigation already determining in their minds that the TS is a fake (different from a forgery) and intended to prove it which they did, tossing data that didn’t agree with their preconception of the age. (There was a whole hour dedicated to 14C dating that was used and was presented by several different scientists there). In sum total I believe that the TS is not a fake based on what the seminar produced. I respect your opinions and what I am doing now is going out and searching those, such as yourself, as to why they think the TS is a fraud. I like to investigate both sides of the argument. Again, bottom line: the image is not a painting or any other medium used to produce a very faint image that has to be viewed from a distance to even see any discernible image and the closer you get the image just disappears whereas in a painting or photograph the image becomes more distinct the closer you get. The only reason you can see anything now is that the image is produced with a higher contrast so that you can see it otherwise in just natural light all you can see is a faint smudge. All the attempts at copying and trying to reproduce a similar image has failed because paint or some other medium is used not a radiation burn such as is on the cloth. Thank you again and I look forward to your replies. OK, the term “forgery”, which I occasionally use but don’t particularly care for, is usually in reference to an attempt to copy an existing artefact. But it doesn’t have to be if the artefact had been imagined, rather than actual which I believe to be case. “Simulation” or “imagined recreation” might be a better term. Yup, someone with entrepreneurial flair, imagined what an imprint of the sweat-laden, bloodied body of the recently crucified Jesus might look like on Joseph of Arimnathea’s “fine linen” created instantly en route from cross to tomb before the blood had clotted, and even while there were still blood flows from body to cloth, but viewed centuries later – some 13 to be more precise. In other words the time scale is being moved forward from resurrection on the third day to the first few minutes after taking a body down from the cross and transporting it with honour to a nearby rock tomb.The standard description “burial shroud” for the TS is simply not justified by the four Gospel accounts and indeed has to be seen as self-serving to those who attempt to promote it on the back of “science”, Shroudie true-believer non-sceptical conferences especially, it the final signature indeed tangible “proof” of a resurrection event. Why would they do that, i.e. fake/forge/simulate/recreate J of A’s linen “shroud” , used for what nowadays the media would refer to coarsely as a body bag’? Well they did in fact have an existing artefact, one that served as a scaled-down prototype, namely the Veil of Veronica. That as you must know was alleged to be the imprint left by the face of Jesus on a lady bystander’s offering used to mop up sweat on the way to the cross. Whether real or faked (it hardly matters) that could have concentrated opportunist, market-niche seeking minds – how to simulate an ancient yellowed whole-body sweat imprint, and in so doing to trump and out-class the Veil, then a huge attraction/money spinner. Create, correction, RE-CREATE a whole body imprint, front and back, head-to-head on quality linen to make an instant and arresting visual challenge – indeed a brain-teaser- one that served to implant the idea with minimal verbal prompting that what one was privileged to be looking at after a long pilgrimage on foot or horseback was a GENUINE imprint, one that had survived centuries of storage by secretive guardians (Templars? ), not merely an oh-so- run-of-the-mill painting or liturgical prop for a routine Easter church service as some would have us believe, based on next to no evidence. “Other things included (there were nineteen listed) was image formation. The image was basically scorched on the linen not unlike an iron scorching material. Another thing is that the image is only one or two microns thick, laying on top of the fibers and not into the thread. Then of course the negative image; in MA times that concept wasn’t known then”. Aren’t you and the authorities you quote making a huge assumption there, not just that the image was “scorched on” (which leaves much to the imagination) but more importantly, went onto plain untreated linen, with the implication or assumption that it was the major constituent of the linen (cellulose) that was being chemically-modified. Yes I know that to be part of the Di Lazzaro narrative, and that of many others too, that their radiation or whatever is targeting cellulose. Heller and Adler promoted that message too when interpreting the visible, uv and ir reflectance spectra as indication the presence of “conjugated carbonyls” formed from dehydration./oxidation of “cellulose” as the explanation for the yellow chromophore. But where was the backing evidence? And what about Rogers’ claim that the cellulose of the TS looked physically intact, judged by its allegedly native crystallinity under crossed polaroids etc? Why was Rogers’ claim never followed up by requesting from the Turin custodians a few more fibres from which to judge whether the chromophiore was derived from something added to the linen at manufacture (starch, saponins etc) and that the end product was in fact complex, high molecular weight melanoidins formed by chemical reaction between nitrogenous compounds and reducing sugars (I’ll spare you the details of Rogers’ pro-authenticity naturalistic model, or rather semi-naturalistic given the added starch, the focus being on those melanoidins which are NOT products of all the assumed cellulose-modifying chemistry). Image thickness? Rogers estimated it at 200-600nm, i.e. 0.2 to 0.6 microns, a bit smaller than the range you quote James. That was based not on what he could see under the microscope but what he couldn’t see, i.e. alleged detachable image layer in cross section (ipso facto it must be thinner than the shortest wavelength of visible light). I’ve since seen comments from one or other of the chief Italian groups, I don’tr recall which, to the effect that they have been able to confirm the thickness of the image layer with improved technology, finding it to be in the same ballpark – maybe the one you quote, but have still to see any hard evidence to back their claim (I don’t spend $40 or more on reprints purely on the off-chance they might have what I’m looking for”. But if my flour-imprinting Model 10 is correct, which I now believe it to be with virtually 100% confidence (OK, 99.99%) then all talk of detachable coatings and precise image thicknesses is misleading. Why? Because the thermally-generated briefly LIQUID chromophore gets inside the threads and travels via capillary channels between and around cellulose microfibrils, colouring up weakly the most of the thread’s interior (it’s hard from the outside to tell how much, but my initial results with cross-sections- admittedly with equipment that is pushed to its limits re magnification and resolution- suggests most of the interior of the thread is coloured. How do other folk manage to measure image thickness if the chromophore is dispersed so diffusely in the interior of threads? One waits for their evidence with bated breath! So sorry to disagree, but I say the image is not just on top of the threads, it’s inside too! Negative image? One mustn’t assume that means photographically-derived negative image. “Negative” simply means tone-reversed. Any contact image, say a muddy footprint on a white tiled floor, is a “negative’ image, inasmuch as real Caucasian feet are not black, and not all floor tiles are white. The negative Shroud image is the least of one’s problems where modelling is concerned, and indeed is prima facie evidence for imprinting via contact, notwithstanding those hugely misleading pro-authenticity modelling exercises that deploy linen loosely draped over volunteers, essentially begging the question (since medieval imprinters of a whole body onto linen would press the fabric firmly down onto the flour-coated surfaces so as to include desired relief that would otherwise be missed due to initial air gaps). “The 14C carbon dating group went into the investigation already determining in their minds that the TS is a fake (different from a forgery) and intended to prove it which they did, tossing data that didn’t agree with their preconception of the age. (There was a whole hour dedicated to 14C dating that was used and was presented by several different scientists there). Are you seriously buying into that crazy notion that 3 different labs, as far apart as Arizona, Oxford and Zurich would all conspire together to produce the wrong date range for the linen (1260-1390) i.e out by a massive 1300 years, all under the nose of the British Museum? Yet the Shroud first entered recorded history in about mid 1350s with its first display at Lirey, i.e. corresponding to the radiocarbon dating, and did so with no ‘back story’ worth speaking of, bar a ragbag of anecdotal sightings much later of this or that piece of cloth, never once described in terms of the once-seen-never forgotten head-to-head life-size double body image. I’m sorry to hear you subscribing to what I frankly consider to be hugely insulting to the radiocarbon scientists, and to the highly reputable journal Nature too with that multi-author paper. What I don’t understand is why Turin allows all these dark whispers to continue, based either on the kind of slander you and others perpetuate, or even the more mundane idea that the corner sample was atypical of the whole, invisibly mended etc etc. It’s high time that Turin and/or the Vatican did the decent thing and arranged for repeat dating using a wider range of sample sites. All that would be needed with today’s improved more sensitive technology would be a few pulled threads – hardly disfiguring, especially if replaced with modern ones treated to look the same. Nope, I’m not saying it was any sort of conspiracy or any such. I’m saying there was some sort of bias where their minds were already made up and then went on to prove it. The Arizona data was thrown out because their data was too far outside what they considered the norm to be and just use the other two labs’ data. The whole thing about the TS to me is there is no discernible method of how the image could be produced without any sort of pigments. The image lays on top of the fibers not in the threads and density is not coloration placed heavily on top of one another fiber but just more densely packed as in more coloration next to but not on top. The front and back (dorsal) images of the crucified man are negative images and contain 3D or topographical information content related to the distance of the cloth from the body. Of the 100 to 200 fibers in a thread, the images result from only the top one or two layers of fibers in a thread being discolored. The thickness of discoloration in a fiber is less than 0.4 microns, which is less than a wavelength of light. There is no indication of capillarity (soaking up of a liquid) between the fibers or the threads. The discolored regions of the fibers in the image result from a change in the covalent bonding of the carbon atoms that were originally in the cellulose molecules in the linen. This change in the covalent bonding of the carbon atoms is equivalent to a dehydration and oxidation of the cellulose molecule. The conclusion is that an artist or forger could not have produced the bizarre characteristics of the images in any era, either ancient or modern. If you’ll also notice that if the image is a fraud and used as some sort of icon or religious artifact then why, in all the paintings of Christ crucified/hanging on the Cross are all the nail holes painted into/onto the palms whereas on the Shroud image the nail holes are in the wrist. Surely a religious painter or whoever created the Shroud would have also put nail holes in the palms and not right behind the hand where the body could be hung from without tearing out of the palms. Okay, some folks would argue that He was held up with ropes is why the nails didn’t rip out but then again it comes back to where the nail holes are on the Shroud and where all religious paintings bar none have the nail holes in the hands. If you would consider yourself an investigator would you really want to slip out without being noticed because you disagreed with one point or other that was made? Also unobtrusively as possible really wouldn’t have been necessary since people were getting up all during presentations without anyone caring. I did it several times myself when some of the foreign (Spanish, Italian) presenters’ accents were difficult to understand so I went outside and caught up things on them later. The whole point of this exercise to me is: I like to see what proponents of a Middle Age image/painting/whatever believe vs those that believe that there’s an image of a crucified man on a linen cloth. I’m not saying it’s Jesus on there but there’s been no other crucifixion with similar injuries such as Shroud Man. You mentioned the scourging – The Shroud shows 100 to 120 scourge marks from two Roman flagrum, one striking from each side, with dumbbell shaped weights on the ends of the straps. The blood marks from these wounds show blood serum rings (visible only under UV) around the dried blood exudation. There’s been no record prior to the 1500’s that showed the TS as being venerated as an icon or anything like that, the reason being it was hidden in different families households since around AD600 and was known however to have been in Constantinople. Anyway, it is interesting to see the disagreements from other sources and I value your input. I attended the Shroud seminar in Pasco, WA in July 2017 and found it fascinating. I heard the positive side and now look to see what those that don’t believe the Shroud is authentic is using for their unbelief. So far what I’ve heard and read is those that believe it to be a Middle Age product go into the investigation believing it is from the MA then say they’ll prove it rather than taking an unbiased look at the TS and investigate it openly without any bias. Meguesses you have never heard of ARCHAEOLOGICAL remoistened dried up blood cartographic mordancing…. I very much doubt you can discriminate between archaeological and non archaeological blood. (from only more or less biased photographs).. if you know what I mean…. No one seems willing to say precisely what is imaged when we refer to a scourge mark. 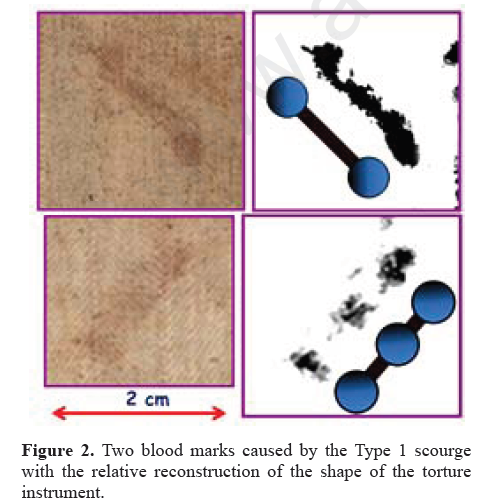 Is it entirely blood, in which case it is a subset of “bloodstains” and presumably imprinted on the cloth at the same time as bloodstains, while having a distinctive morphology (dumbbells etc), OR is it an acquired detail of body morphology that is imprinted along with the rest of the body features, which just happens to have also acquired a thin film of blood to make it a hybrid marking on the Shroud – part image/part blood? BC the well unknown IMAGINARY archaeologist/palaeopathologist/blood pattern image analyst STRIKES AGAIN. In the world of serious Shroud Science, there won’t be a before or after BC. The Latter had to think very LONG and very Hard before to reach such a ZILCH, NADA in archaeology, paleopathology and blood pattern analysis! Awsome!